The well-appointed Serena cottages are set against a beautiful, unspoiled forest landscape on a slope overlooking the Serenalampi pond. These well-equipped cottages and the wide range of activities available in Serena park area offer the whole family an unforgettable holiday experience. To the water park or to the slopes? 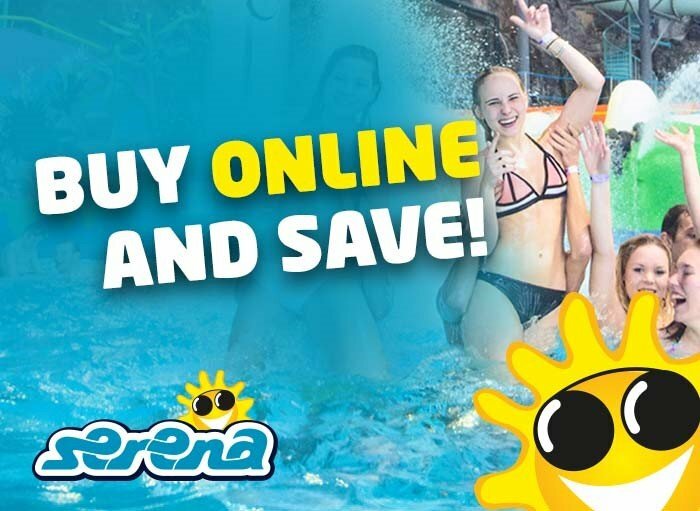 It is only a few minutes’ walk from the cottages to Serena Water Park – the largest heated water park in the Nordic countries, open all year round. The Serena Ski Slopes are also right next to the water park. Serena is located at the doorstep to the largest unbroken area of wilderness in the Uusimaa area. The surrounding forests offer excellent opportunities for exploring the great outdoors. The plentiful berries and mushrooms should tempt you to step outside. Maps of the area are available from Reception, and if you are unsure of directions you can also rent a GPS navigation unit. All cottages have mechanical air conditioning to keep the air fresh and at the desired temperature at all times. All cottages have an electronic sauna and soapstone fireplace. Prices include tickets to the waterpark if your stay is on waterpark opening time, as well as bed linen and end-of-stay cleaning. Cottage reservations: +358 9 8870 550 or [email protected]. Plase read the terms of reservation before making the reservation. Serena applies the following conditions and terms in making and cancelling reservations to Serena Cottages. These terms and conditions become binding once the client has paid the advance booking fee. The booking fee is 50% of the total amount. After making the reservation the client will receive an invoice containing all necessary information for making the payment. Also included are the area map (driving instructions to the Cottages) and instructions for acquiring the access code for the gate and the Cottage. All remarks regarding the invoice must be made within 10 days of the date printed in the invoice. You must always use the reference number printed in the invoice. The reservation is confirmed once the client has paid the booking fee (50% of the total amount) not later than the date printed in the invoice (7 days from the invoice date), or when the client pays the whole amount. If the client pays only the booking fee, the amount due must be paid not later than 21 days before the beginning of the rental period. If the reservation is done less than 21 days before the beginning of the rental period, the whole amount must be paid at one. If the reservation is done via a travel agency, the client must hand in the voucher received from the agent upon arrival. Cancellations must be done in writing (letter, email, facsimile) to Serena. The date of the cancellation is the moment when the information of the cancellation has been received in Serena. Should the client cancel the reservation 21 days or more before the beginning of the rental period, the booking fee is returned to the client, with 80 € cancellation fee subtracted from the booking fee. If the reservation is cancelled less than 21 days before the beginning of the rental period, the whole amount is invoiced from the client. The client has the right of receive the amount paid to Serena less the booking fee if the client or a person living in the same household becomes ill, is involved in an accident, or dies. Serena must be informed of the cancellation without delay, and a medical report must be provided with the cancellation. Should the cancellation occur during the rental period, the client gets no refunds. Should the client change the reservation (rental period, extra services, amount of people), 15 € extra cost is charged from the client. All changes must be done no less than 21 days before the beginning of the rental period. 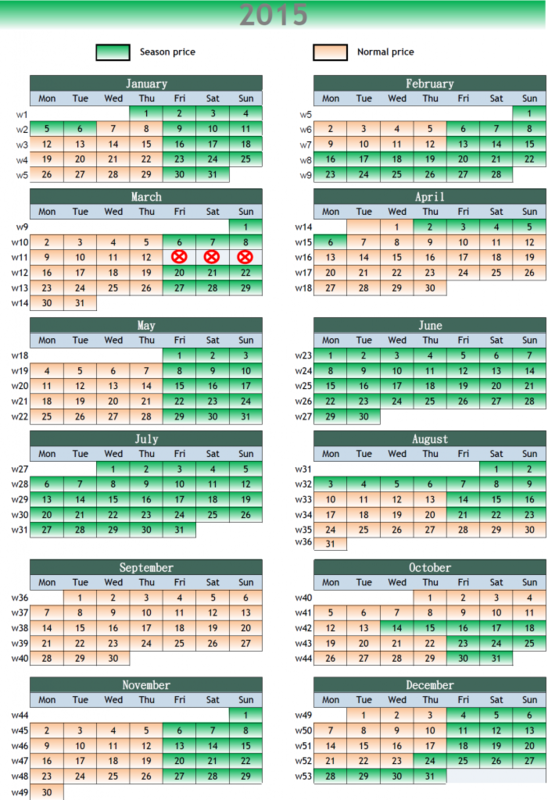 Changes done later than 21 days before the beginning of the rental period are considered as a cancellation of the previous reservation and making a new one. If a force majeure condition occurs, Serena may cancel the reservation. In such a case the client has the right to receive the amount paid to Serena in full. Serena has the right to cancel the reservation if the client has not followed the terms of payment. he access code to the Cottage is given to the client upon payment of the total amount. The Cottage is at the client’s disposal from 16:00 on the date of the arrival to 12:00 on the date of departure. Included in the rent is the right to fish in the nearby Serena-lake. Included in the rent of the Cottage are linen, towels, kitchen equipment and furniture. Sauna and fireplace are also available to the client. The Cottage is cleaned and the linen changed once during the rental period. Maximum attendance in the Cottage is stated in the brochure as the number of beds. It is forbidden to use a tent or an RV at the premises without a prior written consent of the owner. Even though cleaning is included, the condition of the Cottage must be after normal living, that is, furniture and other equipment at their proper places and in good working condition, trash cans empties and other possible dirt removed. If the condition of the Cottage and its surroundings are not as required at the end of the rental period, and extra cleaning must be done to allow the next client’s arrival, an extra charge of 50 € / beginning hour is charged from the client. It is forbidden to smoke inside the Cottage. Should the client smoke inside the Cottage, a 250 € fee is charged from the client. Bringing pets to the Cottages must always be discussed before making the reservation. We charge an extra cleaning fee of 20 € / pet / day from the client. Should the client bring a Pet brought into the Cottage without prior notice, the client is charged 100 € / pet / day extra. Serena is not responsible for any health related problems caused to the client by unauthorized smoking or pets. The client is responsible for all items in the Cottage during the rental period. The client is bound to pay for any damages caused to Serena and its property. The client is required to follow all the Cottage rules and regulations given by Serena. The amount of damages is calculated by the material, personnel and other costs required to repair the damages. All notices and complaints regarding the reservation or the condition of the Cottage must be addressed to Serena’s office without delay. Both parties of this contract attempt to solve any disputes by negotiation. If the negotiations do not result in a satisfactory solution, disputes are solved in the court of Espoo. Finnish law is applied to this contract. The Finnish version of this contract is used in the interpretation of these terms. Serena reserves the right to change information in the brochures without prior notice. Serena has the right to change the agreed price after the contract has been made, should taxes or other costs directly affecting the price of the rent change. The Finnish language version of this contract is always used to define the contract terms in case of any dispute, reclamation or other event. Plase read the terms of reservation before making the reservation.